But second one doesnt have such border and its from Chrome. I was looking for solution to address to make it cross browser compatibility. Any work around? I'm facing a big problem here, because of my non-existant skills with SQL. I actually have this table. I'd like to rank users on each levels like this, so I can then add each rank of each user on each levels, to make a global ranking. I'm pretty new to mySQL, so I'd like to know if it's possible with one SELECT query or if it's possible. I have a start date and end date column in my table and I get a start date and end date as input. I need to set START date as TBL.StartDate if it is after INPUT Start Date and I need to set END date as TBL.EndDate if it is before INPUT End Date. Finally count the days between START and END. 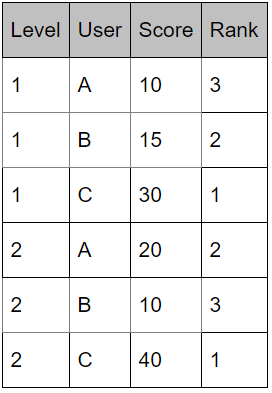 I'm trying to use if statement but I fail when I try to use if in select query. I'm not sure if this is a correct way of solving this problem. I'm expecting that this comparison happens, but i guess i'm using if statement in between select query is not allowed? Actual results are quite a few syntax errors near if. I am trying to create a select, which's options show/hide based on a selection in a previous select. 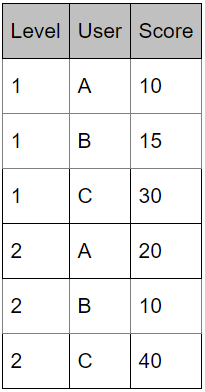 I know there is a handful of different solutions out there to this problem, but I was unable to find a solution that would fit my problem, as they either were for example too complicated or did something slightly different such us showing and hiding whole selects rather than just options. I was able to find one solution that was almost perfect. The problem with this one was, that the first selection was made as a radio type input and I need it to be a select. So to sum up, when check is selected in the first option, I want all of class sensor to be shown, and when activate is selected, I want all of class relay to be shown. I tried modifying the js script from the aforementioned fiddle, but I didn't succeed. I would be very thankfull for any help. I am trying to create a html-select which hides/shows options based on a different select's selection. There are many solutions out there, however, I was not able to find any that suited my particular setup, and as I am not really proficient with JS, I couldn't remodel them myself. The problem is, that to choose which to hide and which to show it uses a radio input, and I want it to be a select input. Also, the example has the options hard-coded into the HTML file, however I use a for loop to put them in. The first select in the html code is the one I want to be choosing from and the second one is the one I want to be hiding/showing options from. Currently it's showing units from sensors, and I want these options to be shown when check is selected in the first select. When activate is selected, I want units from the relays to be shown. I would guess that I need to modify the js script somehow, but sadly I don't know how. I would be thankful for any help. The function simply does not output anything in the readonly text field. What am I missing? 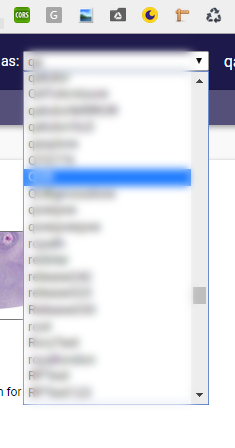 The issue is i am getting name successfully in dropdown but i want a hotelId of that selected name. 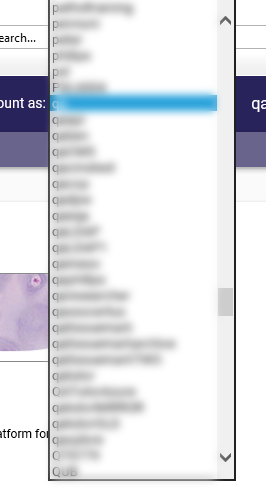 I am not able to parse the whole JSON in the dropdown.